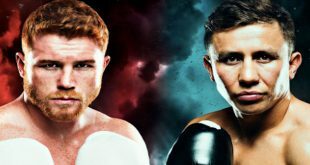 Gennady “GGG” Golovkin, who is 36 years old, lost his first professional bout this year in the much anticipated rematch against Saul “Canelo” Alvarez, who is 28 years old. It doesn’t matter how you scored the fight, one thing is certain; the trilogy match has to happen and it has to happen soon! The fight was everything that boxing fans wanted. It was close and Alvarez did instigate and he chased the fighter from Kazakhstan in the ring and took the first half of the fight from him, which is something that we have never seen up until that fight. When Golovkin took on Daniel Jacobs, there were moments that felt like GGG was not invincible. 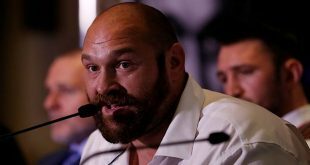 When you are a power puncher, then that gives you a longer lifespan in the sport because you can utilize that power to compensate for the lack of stamina and form due to age. That however, is a short window. This is the first time we saw a visibly vulnerable Golovkin and although he didn’t seem old, he looked confused by Canelo’s strategy. In fact, it was the first time I ever saw Golovkin’s corner concerned near the end of the bout, telling the fighter he has to win these rounds because he’s trailing in the match. On April 8, 2019 Gennady will turn 37 years old, which is getting to be up there in age for any athlete, never mind a boxer. This is why the third fight has to take place sooner rather than later. If not just for the mere fact that it would be another competitive fight, but it must be done for the fans who purchased 1.1 million PPV buys and who deserve to see this fight again while the fighters are in their prime. 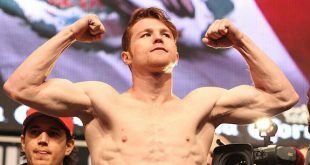 At the moment Canelo, is discussing the possibility of fighting again on December 15, but that seems unlikely. 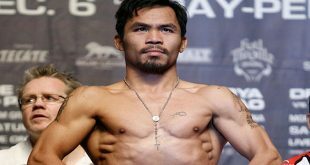 The focus for everyone should be the trilogy fight since that is the best payday for both fighters and also the best opportunity for boxing to get back into the big pay-per-view numbers, which the sport has lost since the days of Floyd Mayweather Jr.